Born in the Astoria section of Queens, Leo S. Kaplan was the only child of immigrant parents who spoke to their son in Yiddish and instilled in him a fierce interest in politics. Prof. Kaplan’s father, a native of Vilnius, then Vilna, had been imprisoned in Siberia for anti-czarist activity. When released, he continued his political work, so to avoid further punishment he “ran all the way to New York,” as Harry put it. 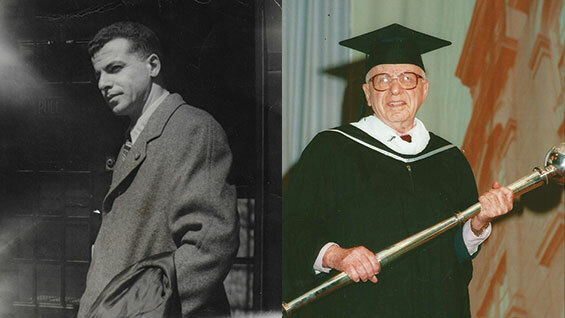 After attending Townsend Harris High School, a prestigious public school then located in Manhattan, Prof. Kaplan entered City College but his studies were interrupted when he joined the army in February 1943. Sent to the Pacific Theater, Prof. Kaplan suffered severe injuries at the Battle of Leyte in the Phillippines, after being shot in the knee and back. Tetanus set in as did malaria, and his parents were informed that their son would probably not survive. “It was almost, ‘Goodbye, Charlie,’” as Prof. Kaplan liked to say. But he did recover after spending more than a year in hospitals around the country. When he was finally discharged, he finished his bachelor’s degree and then went on to earn a master’s degree earned at Columbia University. He did his course work for a PhD, but did not complete his proposed dissertation about the Soviet economic system. He initially taught at Queens College, but was forced out because of communist sympathies, a political position he later regretted. Blacklisted by Senator McCarthy’s HUAC from work in academia, he took a position with Licensed Beverage Industries, a public relations firm for distilled alcohol run by one Tom Donovan, a Goldwater Republican who hired Prof. Kaplan fully aware of the younger man’s political convictions. But he liked Prof. Kaplan’s work so much that even when the FBI called to advise him to fire his young employee, Donovan refused. 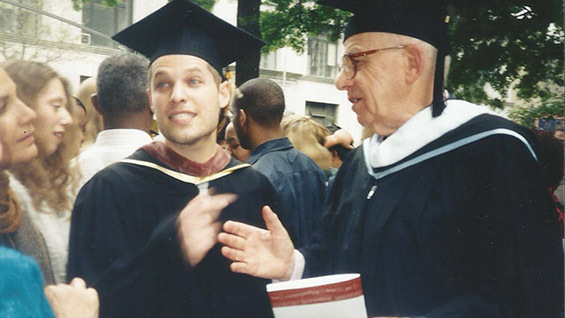 But Prof. Kaplan’s desire to return to academia was rekindled when offered the chance to start as an instructor at Cooper. Eventually working his way up to full professor, he taught courses in sociology and psychology. He also served as co-editor on the International Journal of Sociology during the 1970s. Prof. Kaplan didn’t hesitate to take stands on controversial issues. A group of professors across the country sent a letter to the New York Times dated June 5, 1966 vehemently protesting the Vietnam War and urging the United States government to pull out all troops. Prof. Kaplan, along with 34 other Cooper Union professors, was among the signatories. Eight years later, when the Cooper Union faculty decided to unionize, Prof. Kaplan spoke out against the move. According to Harry, his father feared that if a union fought for higher salaries those expenses would put the school in financial jeopardy. From Prof. Kaplan’s perspective it was a matter of prioritizing the group over the individual. It was a controversial position, and one that a number of his colleagues found objectionable. Nonetheless, Prof. Anne Griffin, who was active in the CUFCT, found that Prof. Kaplan never slighted or penalized her for their differing position on the union. Despite his serious dedication to scholarship, he was not averse to more frivolous diversions. If indulging in a second shot of whiskey, he’d tell his son, “Harry, a bird can’t fly on one wing.” A great lover of jazz, he had a large collection of recordings and on occasion would make tapes for colleagues. Known for his eccentric dress, Prof. Kaplan’s sartorial decisions raised eyebrows on more than one occasion — according to Professor Griffin, he claimed to have inherited all his clothes from an old friend, though Harry stated he was also a thrift store devotee. During the 1970s, students published a lampoon called The Cooperpolitan. Its back cover showed a parody of an advertisement featuring a photo of Prof. Kaplan sporting plaid pants, a sweater vest, and blazer. The headline read, Kaplan Menswear: VINTAGE FASHION FOR THE COLOR-CHALLENGED. He met his wife, Tillie, in Boulder when he’d gone there to study with an economist at the University of Colorado. The two celebrated their 70th anniversary in December 2016. They had three children together, Harry, Hannah Filson, and the late Michael Kaplan. In a 2011 issue of New York magazine, the octogenarian couple was featured describing their Christmas gifts for each other, which included a couple of snazzy hats, a pair of high heels, and a stand mixer. 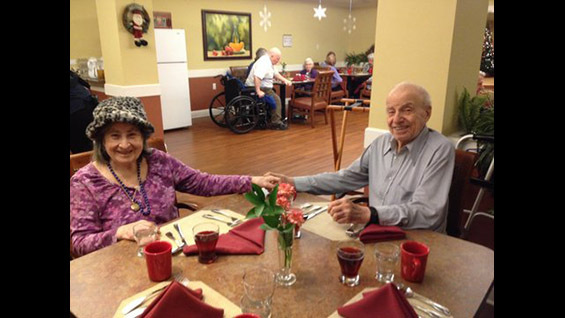 Mrs. Kaplan, who survives her husband, was diagnosed with dementia several years ago, requiring the couple to move into an assisted-living facility. Prof. Kaplan had no qualms about the arrangement, said Harry, as long as he could be near his wife.